OXFORD, Miss. – Ben Bradford, a University of Mississippi student from Panama City, Florida, watched from Oxford last fall as Hurricane Michael wrought devastation on his hometown. 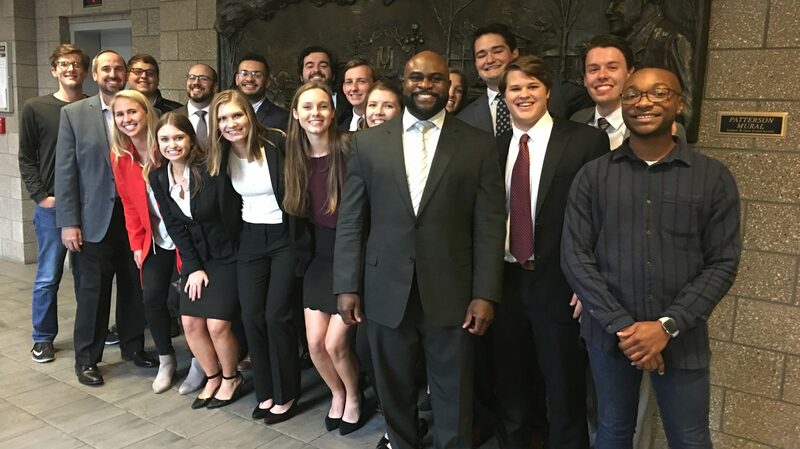 At the time, Bradford and other students from the Patterson School of Accountancy had entered PwC’s Challenge case competition, which is hosted by the multinational professional services firm. Teams were given two weeks to develop a business implementation plan. The hurricane hit, and the Ole Miss junior had to set aside his work for the competition to go to Panama City to help out. He worked remotely on the challenge while being involved in cleanup efforts there. To his surprise, Bradford’s teammates tied with another team from Ole Miss for the win. His team members donated $200 each, for a total of $1,000 toward hurricane relief efforts in his hometown. “The cash prize of $200 per person is by no means an immaterial sum to a group of broke college students,” Bradford said. “So, I was equally shocked when my teammates announced their decision to donate their winnings to the hurricane relief effort of my choosing. The money went to his childhood school, Holy Nativity Episcopal School, which lost its roof and took significant damage. Bradford’s family’s business, Grocery Outlet, a chain in Panama City area, was destroyed. He worked with his teammates to figure out a plan for him to help out in Panama City while staying on task for the PwC Challenge. He worked remotely for a week while he helped clean up. Two UM teams that tied for the win were made up of Bradford, Brooke Baumgardner, Shane Ferraro, Mary Hanley Jones, Kara Kennedy, Wesley Knott, Matthew Lee, Molly Maroney, J.T. Novarese and Michael Riedford. A limited number of universities are invited to compete in the event, and UM is gaining a reputation of national excellence in this realm, said Victoria Dickinson, an associate professor of accountancy and the team’s faculty adviser. It’s fitting that the team donated its winnings to hurricane relief efforts, she said. The accountancy school thanks PwC for its continued support of UM students, she said. “Their generous commitment to Patterson School through endeavors such as the case competition ensures that our students will be well-equipped and prepared to compete in the global business environment,” Dickinson said.